Have you been involved in a car accident in Carson, CA? Are you experiencing any pain or trauma following your accident? If yes, it’s time to seek legal counsel and be aptly represented to receive your due compensation as stipulated by law. You shouldn’t shrug it off and bear the burden of recovering from your injuries as well as repairs or replacement of your car. Rawa Law Group is willing to take up your case and assign you the best auto accident attorney in Carson to ensure you are adequately compensated for the injuries, trauma, and damage to property you suffered. Our team of professional lawyers has been winning cases for different claimants in Carson, CA for years and has over 50 years of collective experience. We at Rawa Law Group have helped thousands of claimants win compensations, recovering hundreds of millions in settlements in the process for our clients. We have very flexible hours for appointments and can also make home and hospital visits to clients if they are indisposed to come by our office.The auto accident attorneys at our firm know these cases like the back of their hands and provide you with ethical legal counsel. 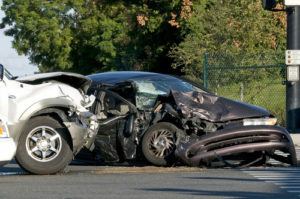 With subtle tact, our auto accident attorney in Carson is able to prove beyond reasonable doubts that you deserve the maximum benefits bequeathed by law for the trauma and vehicular damage you have had. No need to worry about legal fees, we are paid only when we win your case and have a no upfront fee policy. We work for your benefit, contact Rawa Law Group today to schedule a free consultation.